Namely and Bonusly's eBook helps you show your staff how much you appreciate them. Feeling appreciated is a key indicator of workplace happiness and in most situations, it doesn't take much to show your staff how much you appreciate them. Namely and Bonusly each work with many innovative, market-dominating companies who are showing how being intentional and proactive about company culture can provide a distinct competitive advantage in terms of recruiting, retention, and employee productivity. 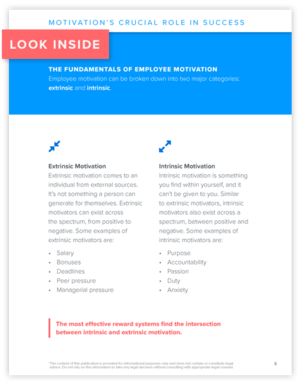 We teamed up to create this eBook, to help you administer or revamp your own employee reward program and begin fostering a motivational, positive company culture.